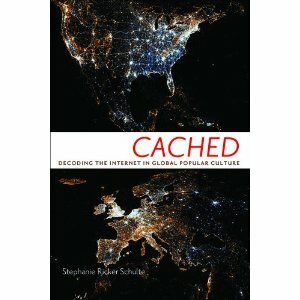 Sarah T. Roberts: Stephanie, thanks so much for taking time to talk with the HASTAC community about your excellent new book, Cached: Decoding the Internet in Popular Culture. I think this book will speak to many different kinds of people involved with HASTAC, given its interdisciplinary nature and its locus at the intersection of policy, history, technology and culture studies. One thing you discuss early on in the introduction to the book is your goal to "recover the underlying assumptions involved in the adoption…" of the Internet and concomitant technologies. Can you talk to us a little about what those underlying assumptions are, and how they relate to what you describe as a tendency to be "erased or at least diminished by our present uses and accepted memories of the internet"? Stephanie Ricker Schulte: I am glad you asked this question because it spotlights a central tension in the way I have chosen to tell my story about the internet as well as a central tension with internet technology itself. Rather than one set of underlying assumptions fueling the internet’s growth and adoption, there were actually several overlapping and conflicting sets of assumptions about the technology as well as what it did (or could) mean. In this book, I ask, “How did conflicting voices—such as advertisers, journalists, users, and policymakers—help establish common sense notions about the internet?” So one of my goals was to write about the ways competing origin stories of the internet and competing visions of the technology’s present and future played out in decisions about the technology itself. In a sense, this book is designed around conflict. Cached investigates a number of “common senses” about the internet that occurred sometimes simultaneously and often paradoxically with one another between the 1980s and 2000s. For example, the internet was considered a war project, a toy for teenagers, an information superhighway, a virtual reality, a player in global capitalism, and a leading framework for comprehending both globalization and the United States. I could have written a book that chose a side, that tried to settle these historical conflicts about how to understand the internet by arguing for the “correctness” of one of these positions over another. Instead, I chose to show how the tensions in these internet narratives—their interrelatedness and the conflicts between them—are what shaped the internet’s use and development as well as the policy decisions around the technology. It is less that there was a single common sense about the internet or a “best” way of approaching it, than there was (and is) a continuous struggle to name and understand the internet’s implications. The struggle that produced the internet is, I think, what makes the best story. And, as you referenced in your question, some of these tensions and transitions between different “common senses” resulted in the cultural erasure of internet technology itself. To use a rather simple example, in the 1980s we talked about “computer networking”—a phrase that immediately conjured up images of wires physically connecting machines—but in the 1990s we talked about “surfing the world wide web.” As more and more of the public (not just military and university employees) began using the internet, they were also reimagining it, focusing more on the experience of using the internet and less on the technologies that made it possible. Clearly this shift had a lot to do with the evolving capabilities of technology itself. It is hard to imagine ourselves “surfing” over a world-wide virtual landscape until the internet became visual as well as textual. But this shift was also worked out outside technology itself, in advertising campaigns and political strategies that linked the internet to America’s global and economic dominance. So I make the case that, in some ways, the internet’s narrative structures helped erase its physical ones. Instead of the internet imagined as a bunch of plugged-in computers, the computer became imagined as a gateway to the internet. The internet lost its body, so to speak. As such, we could more easily imagine it as a global yet also deterritorialized space or as an experience rather than a product of infrastructure. STR: In the first chapter of your book, you anchor your discussion of early networked social computing (by this, I mean networked computing outside the confines of the academy or the military context) around the 1983 film War Games - certainly an important cultural artifact for anyone of a certain age at the time of its release. Using this example, and other related moments from the news media and other sites and examples of mainstream cultural discourse, you demonstrate the profound relationship between these representations and subsequent policy and legal regimes. Would you share with the readers of this interview how you've theorized the interplay between these phenomena? SRS: For me, it is crucial to always remember that the internet is much more than a sum of its technological parts. Along with other scholars like Manuel Castells and Lisa Gitleman, I approach the internet as cultural. To say that the internet is a culturally-constituted, historical object is to say that qualities essential in the technology itself have always mattered but they do not alone determine the ways the internet evolved or how it has been and is understood—either as a technology or as part of our lives. 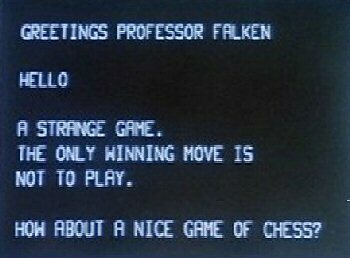 War Games is a fun example and was a great way to start the book because it’s a clear moment of how circumstances in history and cultural mattered, how circumstances helped shape the internet and the way a range of people understood it. Filmmakers, software designers, marketers, journalists, military researchers, and U.S. Senators, with all their varying motives, joined in an explicit, competing and sometimes overlapping, conversions about what the internet was and should be. War Games and its reception worked as the site where these different visions were expressed, collided and altered one another. Together, these complex cultural understandings of the internet guided its political, commercial and technological future in the United States and elsewhere. In light of this example and others that illustrate a range of forces shaping the ways people engage the internet, I argue that technology is culturally flexible and not fixed by its material parameters. As a result, I tell its technological history alongside the history of mediated and political narratives about the technology, to provide insight into the ways the internet transformed in accordance with larger changes in culture and policy as much as with the intrinsic capabilities of technology itself. This cultural history approach demonstrates that it is impossible to speak separately about policy, technology and culture. Cultural values produced in, through and about communication technologies shape policy debates and helped determine policy outcomes. Policy, as a cultural actor, shapes technological innovation and development as well as validates and legitimizes particular cultural values over others, amplifying them in the cultural sphere. The technology does not and cannot happen in a vacuum outside the spheres of culture and politics so it cannot on its own dictate its cultural and political future. So this approach helps me demonstrate in very concrete terms how representations of the internet both relied on and helped formulate larger cultural assumptions about the nation, the state, democracy, public space, consumption, and capitalism. STR: One thing you have done with this book is to really surface up, and then problematize, a lot of the received wisdom that permeated early discussions of the internet - politically, as a site of commerce, and as a manifestation of American-ness - with specific American narratives foregrounded. Can you talk about some of the notions you wanted to critically examine with this book? What do you think we can learn from these past framings, and what do they suggest about contemporary narratives? SRS: The internet operates transnationally, yet is based in national infrastructures and is subject to national legal and economic systems. So one of my goals with this book was to begin teasing out the complexities of that, to contrast cultural and political approaches to the internet in the United States, Europe, and the Middle East in a way that accesses the dynamic ways cultural, political, and economic power operate On the one hand, I focused on alternative visions of the internet available outside the United States that help reveal the hidden national flavor in our domestic visions of the technology. On the other, I focused on how and why American visions ultimately dominated the cultural history of the internet, how and why the internet was imagined as self-evidently American, democratic, and capitalist. I show how voices in cultural representations and policy initiatives—originating both in the United States and abroad—helped to construct the internet as inevitable and as naturally regulated by free markets and corporate forces. So, I acknowledge the United States’ dominant and formative power in the internet’s history but I don’t take that historical outcome for granted. I simultaneously recognize the technology’s internationality, the influence of international actors, and the variable models for the internet offered by other countries and cultures. Ultimately, the comparative elements of my book reinforce the ways the internet was a central location for key national and international debates about globalization, democracy, public space, consumption, capitalism, and America’s place in the world. In doing this, I hope to disrupt today’s uncritical debates about the internet’s development and to prompt us to collectively recognize the internet not only as a technology, but also as a cultural and political formation. This recognition is especially important as new technologies appear. I want to collectively critically examine our common senses about technology, about their historical legacies, political implications, and unacknowledged cultural assumptions. All of those things matter to our use technological practices, our innovation strategies, and our policymaking process. Acknowledging the roles our national identities and transnational activities play in our understandings of the internet—in particular in ways we imagine technological development as naturally American, democratic, capitalist, and inevitable—is key as we shape communications technologies increasingly central to daily life around the globe. STR: Finally, what has your own relationship to the internet been? I am observing my own 20th anniversary this year of my life online, and am feeling extremely self-reflective about that. To be sure, my life online changed my life, in general, in very real and tangible terms. What was your own trajectory with computing and the internet? What was the interplay of the genesis of this research with your own experience living through this period of time? The first time I experienced computer networks was watching my best friend MUD in the 1980s. I observed as she dialed up and typed, traversing the complexities required in that historical moment. I didn’t understand what she was doing let alone how she was doing it. To me, she was a teenaged Neo from the Matrix. I remember asking her question after question, and she didn’t seem to understand why I was asking many of them. For her, computing was already intuitive. Many of her assumptions, of course, became the naturalized mainstream visions of the internet that I ultimately wrote about. In some ways, this book is my attempt to regain the fresh perspective I had in the late 1980s and apply it in a more systematic fashion to the assumptions that have been codified in culture, policy, and technology itself. STR: Thanks, Stephanie, so much for your time in talking with me about Cached and about the cultural meaning of the Internet, more broadly. It's really been a pleasure. SRS: Sarah, I’m honored to speak with you today. I have long enjoyed HASTAC, one of the most forward-thinking and diverse consortiums around. Many claim interdisciplinarity, but HASTAC actually provides it. 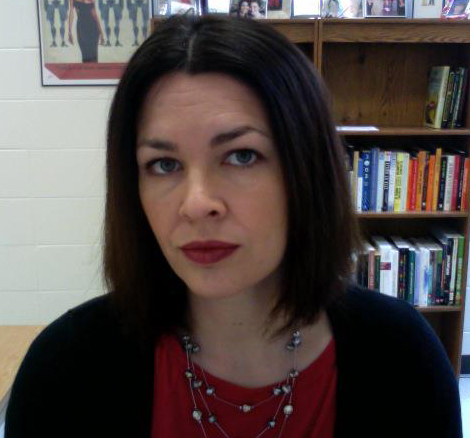 Stephanie Schulte is Assistant Professor of Communication at the University of Arkansas, where she researches communication technologies, media history, media policy, popular culture, and transnational cultural exchanges. Her work has appeared in the Journal of Television and New Media, Mass Communication and Society, the Journal of Transnational American Studies, and Feminist Studies. She is the author of Cached: Decoding the Internet in Global Popular Culture (New York University Press, 2013) and is currently working on a second book length project, which investigates technology and notions of the public good, as well as an interdisciplinary edited collection focused on media and citizenship. What's Wrong With Google Books?